Since I started talking about my third pregnancy on this blog, I decided I wanted to be very honest about all the symptoms I was having. Some weeks I did purposely miss some symptoms out just because they were pretty embarrassing. But I have been thinking recently why should a pregnancy symptom be so embarassing? Many of us pregnant women can relate to most symptoms, except those few people who hardly get any! More than likely you will get stretch marks! There are many creams and oils around that apparently help stretch marks fade or even prevent them. I have never tried these and I won't be either as they don't affect me, however for some women stretch marks can make them feel really down about their body. When you're pregnant your hormones are all over the place. You will probably cry more than you would normally. Even by watching an episode of Eastenders you may shed a tear. Most things can set a pregnant woman emotional. Say Goodbye To Your Clothes! The amount of trips to the toilet can be quite annoying especially if it is in the evenings or in the middle of the night. Not all pregnant women suffer with this symptoms but a lot do. Diarreah and Constipation isn't talked about much during people's pregnancy because it isn't a subject people really want to hear but it is one of the main symptoms a pregnant woman can/will have. These symptoms can come with unpleasant stomach pains and just feeling unwell. It's not good when you are out! There are pregnant women who suffer with morning sickness and there are pregnant women who suffer with nausea. I am one of the pregnant women who suffered with nausea and did not enjoy it at all. The bad feeling of just wanting to throw up makes you wish you just can! Don't be fooled by the words 'morning'. Morning sickness can occur anytime during the day or/and night. I suffered with backache all the way through with my second pregnancy. Backache can appear during any time of your pregnancy. Usually in the last trimester you will suffer with back pain because baby is so big. A great way to relieve back pain is by using Deep Freeze. When all you want to do is relax with your feet up or just go to sleep, your legs start to feel restless. It is a common pregnancy symptom, which I didn't even know about up until my third pregnancy. As the weeks go by, you may start to realise you can't fit into your normal shoes or boots and have to opt in for flip flops and sandals. If this does happen you should get it checked out just incase. This is called 'Baby brain'. You may find yourself doing some really weird and silly things during your pregnancy. Once I put washing conditioner in the fridge, no idea why. There are many other things I have done and said too. Tiredness usually occurs in the first and third pregnancy. For some it happens through the whole pregnancy. Even when you have had a good sleep through the night or a good few hours nap through the day, you can still feel so tired and feel like you have no energy! You may notice you can't hold things in as much whilst you're pregnant. Your hormones are all over the place. You'll probably have something to moan at every day and throughout most of the day too. But you have an excuse! This doesn't just happen for first time mums. It actually doesn't get any better when you're pregnant for the second, third or so time. It's only natural to worry about the pain and giving birth. Thinking how will you cope and so on. Also thinking about how much life will have changed after the baby is born. That dreaded cough where just a little pee comes out too. Not good. So sometimes wearing a pad during pregnancy is a must. The more kids you have the weaker you bladder can get. There are many more symptoms pregnant women go through which I haven't listed here. Did you have any of the symptoms above or different? Aw pregnancy is not an easy ride and my friend was very sick during her pregnancy, thankfully she has a wonderful three month old son and he is gorgeous! Its strange how we sugar coat it. Its the same when people stop you in the street to ask how your pregnancy is going.. 9 times out of 10 we will say "fine". This is probably why men underestimate how, although amazing, hard it can be sometimes! Fab post! One of my friends had a baby this morning, I saw her yesterday and she was very uncomfortable because the baby kept kicking her in the bladder! I deffo think I'd hate being pregnant! I had 24/7 day sickness for the entire length of the pregnancy, left me so weak and tired but baby was fine :) I read recently that morning sickness (entire day sickness) is the body protecting the baby from toxins and things that are bad for the baby, so perhaps my diet was shocking (it was 16 years ago so can't remember what I was eating). The *cough* is a nightmare, as is the *laughing*. I definitely do not miss the sleepiness. The sudden bathroom urges were unbelievably annoying as well. Pregnancy made me so tired. I found the bathroom trips a little too much too. 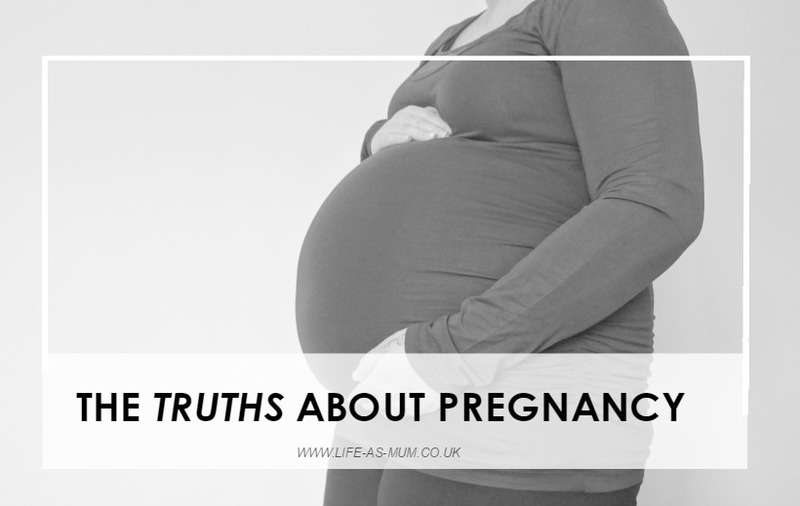 I hated being pregnant as my body doesn't like it too much, I was very ill and in pain for the whole duration... I didn't really get far enough in my pregnancy to experience a lot of things other mums have in their pregnancies as I had to be induced rather early, it was a case of at my weekly scan they turned to me and said "Upstairs you go, we need to deliver your baby!" oh yes!! All of them. Sneezed and peed in a arcade one time haha Ooops. Tried to put the kettle in the fridge... and sickness for 10 weeks all day every day. I still cant fit into my old clothes :( and still need to wee a million zillion times a day so the symptoms don't just stay with the pregnancy! I must admit I hated being pregnant, I felt awful and as you mentioned there are many nightmare issues to contend with. Glad that's all over for me. Reading this list I don't think any women would like to go through pregnancy, however we soon forget all the aches, pains and problems when god gifts us anew bundle of joy. I look forward to being pregnant but then reading all the set points make me realise what you go through and I'm a bit like. Ahhh. However you get a beautiful child to love at the end of it so it's worthwhile! It's a hard journey and every mother is incredibly brave for going through it all! You've just got to remember the miracle of a child you get at the end of it! I had no idea that diarrhea and constipation could be seen as symptoms or side effects. As you say, not many people talk about it but it's good to know! Aww it sounds like pregnancy is a challenge! I don't think it's for me personally (well, definitely not yet! ), but I respect those who have gone through it. Oh gosh pregnancy sounds hard haha! I bet it's all worth it in the end though.